What decides a humans beings value or worth? Is it decided because they’re wanted or unwanted, because they have some type of defect? Is it decided because they’re male, female Black, White, Asian, Middle Eastern, Native American? Overweight, anorexic, popular, unpopular, attractive, unattractive, successful, unsuccessful? Christian, Jew, Muslim believer non-believer, atheist? Are we guilty of a assigning worth and value according to what a person is instead of who they are? The bigger question is who are we? We are first of all created by God. We have value because God desires that we share in His work here on earth. Ephesians 2:10 tells us we are His Masterpiece created in Christ Jesus to do good works before the world began. Every human life valued and worthwhile to God. We have worth because God sees who we can be. Scripture speaks to the value and worth He sees in us over and over again. Since he was a baby I have had the privilege to be part of my grandsons life. I have watched him grow from a baby, to a toddler, and now to a little boy. I see God’s fingerprints of creation in him. The joy, the curiosity, the wonder this little one has for the smallest things. And yes even the independence and stubbornness. His value and worth to me cannot be measured. And I understand the love God must feel for us and our value and worth to Him. And while I rejoice, watching this little guy grow into who he will be, my heart is sad that so many never have that opportunity. To be loved, valued. That so many never have a chance to know who they can be, because of situations and circumstances they sometimes have no control over. And we are guilty of seeing what they are, not as God does, who they could be. Before we decide any human being is unimportant, not worthy of our love, our acceptance maybe we should consider this. Each of us is important to God and we are also important to one another. He even instructions to love our neighbor as we love ourselves. His plan includes all of us, not just some of us. And we have to begin a conversation about the things that plague our society and our world. The division, racism, hatred, misunderstanding that prevents us from seeing who we are. Wounds that have never been allowed to heal. 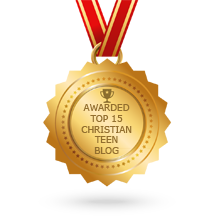 This entry was posted in A CLICK A BLESSING TODAY, Christian Teens Blog JF, CHRISTIAN TEENS BLOGS, Christian Teens Blogs - He is my Peace, Christian Teens Blogs - He is my Peace, Light and Refuge, CHRISTIAN URDU BLOGS, STRONGHOLD SMASHERS, TAPESTRY TREASURES and tagged Loved, value, Worth. Bookmark the permalink.